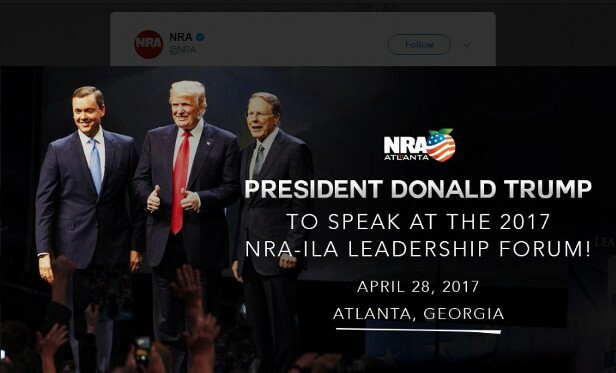 How is fighting against restoration of the right to bear arms consistent with "pro-gun" leadership? "The U.S. Supreme Court on Monday dealt a blow to gun control advocates by opening the door for some convicted felons to challenge a federal ban on them owning firearms," Reuters reported Monday. "The justices let stand a lower court's ruling that uniformly denying felons whose crimes were not serious the right to own guns violated the U.S. Constitution's Second Amendment, which protects the right to 'keep and bear arms.'" "Jun 26 2017 Petition DENIED Justice Ginsburg and Justice Sotomayor would grant the petition for a writ of certiorari." Just as curiously, at least for some gun owners supporting Donald Trump and Jeff Sessions, the administration sided with the Brady Center, arguing "the appeals court ruling would force judges to make case-by-case assessments of the risks possession by convicted felons, a job for which they are ill-suited. The administration added that too many felons whose gun ownership rights were restored for various reasons have gone on to commit violent crimes." "[Julio] Suarez was convicted in Maryland in 1990 of carrying a gun without a permit. Suarez was given a suspended jail sentence and a year of probation." Decades ago, when I was managing a manufacturing facility in Southern California, I received a threat on my life from two employees whose conduct required termination, and who it turned out had gang affiliations. Officers investigating after the pair left informed me they could talk to them, but due to lack of actionable evidence, there was really nothing more they could do until the threat was acted on. "Sir, if I were you, I'd carry a gun." I came up with all kinds of objections, foremost being that SoCal was no place for someone without connections to get a "may issue" permit (and that's another case SCOTUS just ducked). The way the cop glanced at his partner stopped me mid-excuse and suddenly it clicked. They knew the score. They couldn't protect me. Only I could. If I didn't choose to heed the reality they were trying to explain, the consequences would be on me. Just as there are orders Oath Keepers will not obey, there are orders citizens who would be free must choose to obey or disregard. I chose quiet civil disobedience, sensitive to and resentful of the fact that my life could be destroyed by "the law" because I refused to be a victim. I chose to comply with the supreme Law of the Land and what I see as not just a right, but a duty to keep and bear arms - a duty California is not just ignoring, but eviscerating. That could have been me the administration was arguing against. That's a hell of a note for a president and AG who enjoy their positions of power largely due to the support of gun owners. It's a hell of a note for officials who took an oath to the Constitution.